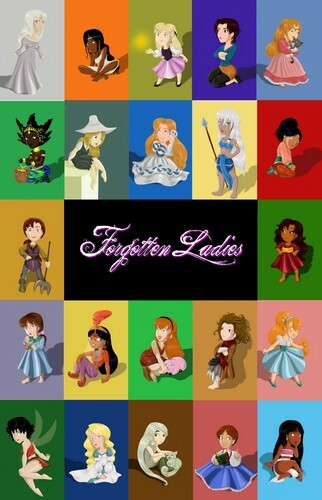 Non/Disney Heroines. Non/Disney Heroines. HD Wallpaper and background images in the 儿童动画电影中的女主角 club tagged: non disney disney heroines. This 儿童动画电影中的女主角 fan art might contain 彩色玻璃窗 and 彩色玻璃窗口.